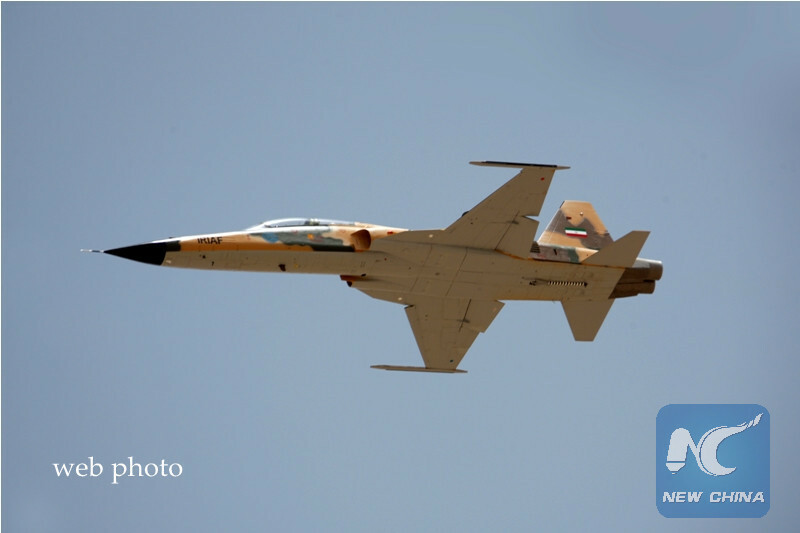 TEHRAN, Aug. 21 (Xinhua) -- Iran unveiled its first indigenous fighter jet on national defense day on Tuesday, state IRIB TV reported. At a ceremony attended by Iranian President Hassan Rouhani and Defense Minister Amir Hatami in the capital Tehran, the Kowsar fighter jet was put on display and made its first flight. According to Press TV, the fighter jet is equipped with "advanced avionics and fire control systems" and can be used for short aerial support missions. At the ceremony, Rouhani said that "we are obliged to safeguard power, dignity and safety of the nation at lower cost," quoted the official IRNA news agency. The Iranian president also said that in case the country overlooks deterrent power and does not rely on its own capabilities, there will be enemies seeking to harm Iran. "Iran's preparedness for defense does not mean warmongering but signifies a durable peace," he said on the occasion marking the Iranian Defense Day on Tuesday. Iran has never invaded its regional neighbors and will never do so, he said.